The Garmin Edge 510 borrows many features from today’s Smartphones and is like a miniature Smartphone, clung to your bike’s handlebar. The “Location tracking” & “Weather Update” features, along with the Touch interface, makes life easier for any cyclist. The new Garmin Edge 510 is an update over the previous Edge 500. With the 510, Garmin has jumped into smart technology and the device comes with a colored touch screen along with extensive social integration, weather updates and live tracking. The device comes with GLONASS satellite compatibility, which gives it a faster signal lock and improved signal strength even in dense and remote areas. The Edge 510 is engineered for passionate cyclists to make the most out of their ride. The device weighs a meager 2.9 ounces and is powered by a single lithium ion battery which gives around 15 hours of backup. Garmin’s “Edge” line of products falls in the premium category and likewise the Edge 510 would cost you a hefty $ 329.99 on Amazon. The Edge 510 is noticeably bigger than its predecessors, weighing 80g and measuring 52*24*85mm in dimensions. The most important addition to the device is the colored LCD touch screen, the first on such a device. The screen measures 57mm and gives a great overview of the system. The new touch interface is very user friendly and has killed the need of physical buttons, with only power on/off, screen lock and brightness control button on board. The back of the device features a USB port, which is concealed by a rubber strap. 510’s new casing also comes with a tether loop to ensure more durability and rigid support. Like every Garmin Product, the device is pretty rugged and waterproof to a certain extent. Garmin does not expect you to cycle under water and the likes are that you won’t. The touch screen is also not effected by water and works seamlessly when wet, and even with gloves on. 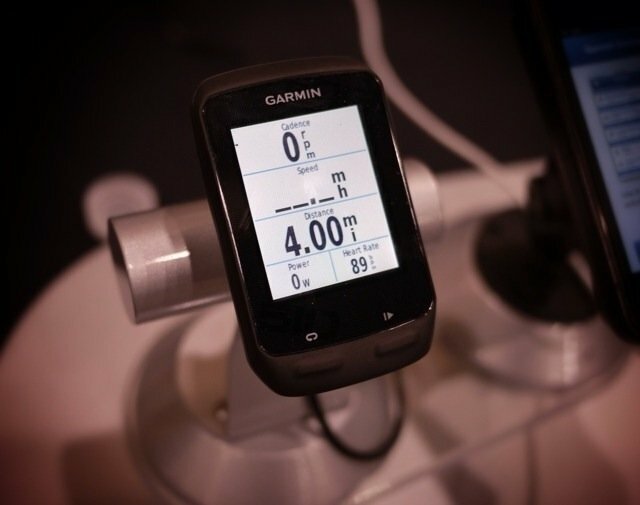 The device is compatible with every single Garmin accessory and mount, but the new Out-Front mount is the most popular choice and Garmin ships it with the unit. The device also comes with a tether so that you can never ever lose it. With the “Edge 510” you can record almost every stat and figure to view your riding performance. The device can record the distance you rode, the speed you rode at, ascent/descent, average speeds and with supported accessories even the heart rate and calories burnt. After each ride is complete, the 510 displays your records, achievements and milestones broken. You can then share your progress with your friends and family using the social media integration via the Garmin Connect app. Live Tracking is one of the most important features of the Edge 510. 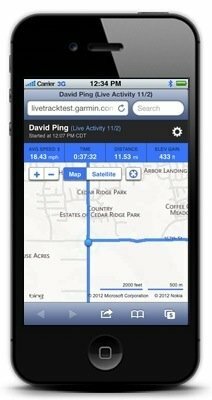 It lets people follow your races and keep a track of your location and progress from their computers and smart phones. The feature is very useful for parents to keep a check on their young children, so that they do not end up cycling in unwanted places. Another feature that any cyclist would cherish is the weather update. The device gives real time weather updates, with accurate forecasts and warnings. This works when you connect the device to your Smartphone (using Bluetooth 4.0), while your Smartphone is safe in your pocket or saddle. The Garmin Edge 510 acts more like a computer and less like a stats recorder. It intelligently helps you to make your riding experience easier and comfortable. The easy to use touch screen kills a lot of hassle and can be operated on the go. Similarly the big bright display makes it very easy to view information. With features such as the weather updates and location tracking, the device gives you a sense of safety and security and acts like a true companion. We love how Garmin has infused essential features from the Smartphone industry and has come up with a smart cycling computer. Burntech recommends this product to professional athletes and also to our skeptic readers.